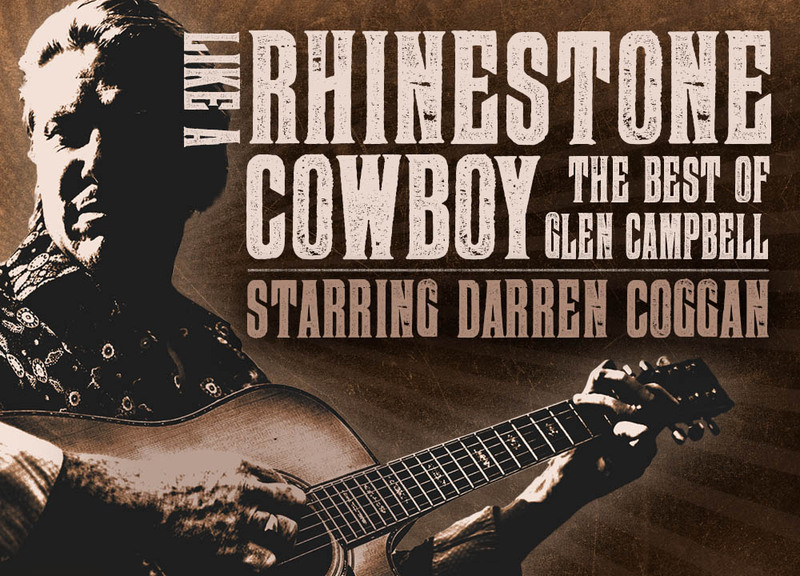 Multi award winning performer, Darren Coggan, returns to his country roots ‘Like A Rhinestone Cowboy’, delivering the vocal authenticity and guitar prowess of the great Glen Campbell. In a personal reflection, Darren respectfully honours the indelible voice behind the golden hits of the 60’s and 70’s including Gentle On My Mind, Wichita Lineman, By The Time I Get To Phoenix, Try A Little Kindness, Galveston, Rhinestone Cowboy and many more. During a career that spanned six decades, Campbell sold over 50 million records. He was a rare breed in the music business, a chart-topping singer, hit television host and in demand studio guitarist, contributing to the landmark recordings of his time. That’s his rhythm line on Sinatra’s ‘Strangers in the Night’, his guitar rings out on the ‘Viva Las Vegas’ soundtrack album by Presley and he grooved on the Beach Boys’ landmark album ‘Pet Sounds’. At the age of 81, following his long and courageous battle with Alzheimer’s disease, Glen Campbell took his final bow, but the legacy he leaves behind is expansive, songs that the whole world sang along with, now, remarkably re-created live, by Darren Coggan.